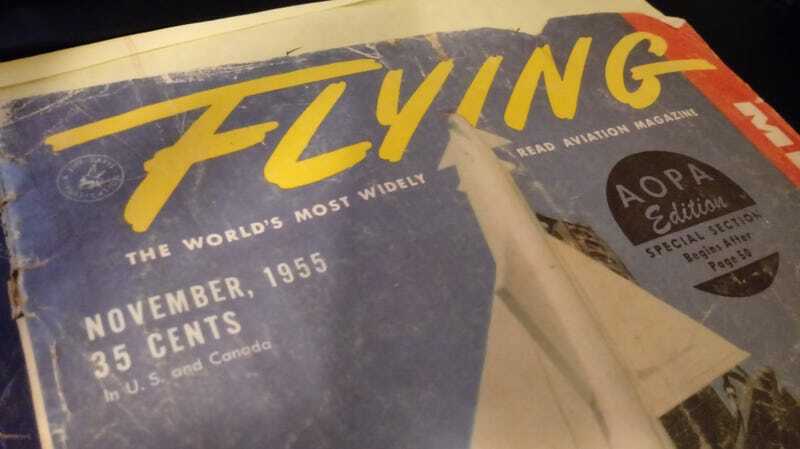 A box FULL of mid-50's Flying magazines. It’s mine. It’s from when dad was 14-15, etc. Any interest in posts on interesting articles within the issues? I promise to hit the good stuff and point out a silly ad or two in the back. I’m glad you sit where you do because the musty basement smell is pretty bad here.